In the latest round of applications for European Research Council grants, five of the coveted Starting Grants have gone to LMU researchers. Five junior academics in diverse disciplines have been awarded Starting Grants for research that will be carried out at LMU. Each of the awards is worth approximately 1.5 million euros, and winners are selected on the basis of their research record and the quality of the planned project. Furthermore, LMU now offers the option of appointment to a Tenure Track Professorship (W2) to successful applicants for ERC Starting Grants. Two of the successful proposals were submitted by Dr. Ralf Jungmann of the Faculty of Physics and Professor Markus Paulus of the Faculty of Psychology and Educational Sciences. The other three winners, Dr. Daniel Braun (Faculty of Medicine), Dr. Chiara Franceschini (Faculty of History and the Arts) and Dr. Philipp Stockhammer (Faculty for the Study of Culture), have moved to LMU to carry out their projects here. Dr. Daniel Braun’s research is concerned with the mechanisms that underlie our ability to move about in the world around us. He is particularly interested in the interactions between sensory perception and the adaptation of movement to the nature of the surroundings in which we happen to find ourselves. 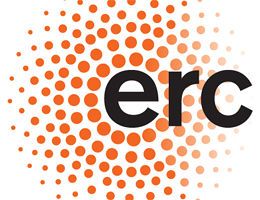 The aim of Braun’s ERC project is to develop a new mathematical framework for the description of movements and motion sequences. In this context, he is particularly interested in understanding how people manage to flexibly adapt their movements to the demands of changing environments. Indeed, this capacity of human agents to adapt their movements appropriately even when faced with environmental fluctuations that cannot be fully registered by the senses is an ability that no modern machine or robot can emulate. Prior to taking up his new position in the Faculty of Medicine at LMU, Braun headed an Emmy Noether Junior Research Group devoted to the study of “Sensory and Motor Learning and Decision-Making Processes” at the Max Planck Institute for Biological Cybernetics (MPI) in Tübingen, having completed his Habilitation at Tübingen University. Braun studied Biology and Physics and obtained his PhD at Freiburg University, before moving to Cambridge University, where he worked for several years. Dr. Chiara Franceschini is a specialist in Renaissance art. In her ERC project entitled “The Normativity of Sacred Images in Early Modern Europe” (SACRIMA), Franceschini plans to investigate the interactions between artistic developments and shifts in the significance of religious images in Europe between 1450 and 1650. This period encompasses the upheavals precipitated by the Reformation, which transformed the religious landscape of the continent. Franceschini’s goal is to elucidate the changing relationships between art, religion and geography during these two centuries. In the course of the project, which will be based largely on a new systematic survey of imagery held in ecclesiastical archives, she will undertake a comparative study of the visual norms that prevailed in various European countries and regions, including Italy, France, Spain and Southern Germany. The SACRIMA project will also contribute to the understanding of cultural integration in early modern Europe. Chiara Franceschini is moving from University College London, where she taught Renaissance Studies, to the Faculty of History and the Arts at LMU, where she will carry out her ERC-funded project. She previously worked as a Newton International Postdoctoral Fellow and an Academic Assistant at the Warburg Institute, University of London. She studied Archaeology, Art History and History at the Scuola Normale Superiore in Pisa, obtaining her PhD there in 2008, and at the European University Institute in Florence. Dr. Ralf Jungmann’s research is devoted to the development of innovative imaging techniques for biomedical applications, based on the use of fluorescence microscopy and markers that exploit the versatility of DNA nanotechnology. Ralf Jungmann currently heads an Emmy Noether Junior Research Group in the Faculty of Physics at LMU, as well as a research group at the Max Planck Institute for Biochemistry. Before taking on the leadership of the former, Jungmann worked with Professors Peng Yin and William M. Shih at the Wyss Institute for Biologically Inspired Engineering at Harvard University. Jungmann obtained his doctorate in Professor Friedrich C. Simmel’s group at the Technical University of Munich, having previously studied Physics at the Saarland University in Saarbrücken and at the University of California in Santa Barbara. Developmental psychologist Professor Markus Paulus is particularly interested in the origins of social behavior in early childhood, and uses laboratory experiments to probe, for example, the willingness of children of various ages to share with others. His ERC project is entitled “Unravelling the moral self”, and is designed to tease out the origins of moral behavior. Paulus intends to focus on the development of the individual‘s self-perception as a moral person and its role in fostering prosocial behavior. However, the project takes an interdisciplinary approach, which encompasses the analysis of the neurocognitive bases of the moral self. The project also promises to provide new insights relevant to current issues in moral education. Markus Paulus was appointed to the post of Professor of Developmental Psychology and Educational Psychology in Early Childhood in 2013, and is a member of the Research Focus Group Moral Behavior at LMU’s Center for Advanced Studies. Paulus studied at the universities in Eichstätt and Oulu (Finland). After a research stay at the Early Social Development Lab at Dalhousie University in Halifax (Canada), he earned his doctorate at the Donders Institute for Brain, Cognition and Behaviour at Radboud University in Nijmegen (Netherlands). Dr. Philipp W. Stockhammer is a specialist for the issue of intercultural connections between Europe and Western Asia during the period from 2200 until 500 BCE, with particular reference to the Eastern Mediterranean. In his ERC project, Philipp Stockhammer plans to trace the impact of intercultural contacts on the development of Eastern Mediterranean cuisines during the second millennium BCE. Among other issues, he wants to know how the increasingly close links between the various regions of the Eastern Mediterranean affected local food practices, and when and how different exotic ingredients were adopted by different societies. For example, chicken, pepper, nutmeg and cinnamon first reached the Eastern Mediterranean from East and South Asia during this period. Philipp Stockhammer and his team will tackle these questions by investigating the food particles incorporated into dental plaque present on the teeth of Bronze Age skeletons and analyzing the traces that can be detected and identified in the vessels in which foods were consumed. Furthermore, a particularly interesting set of objects for such analyses are vessels from Egypt, which bear inscriptions indicating their contents. These inscriptions in Hieratic Egyptian cannot be sufficiently understood until now. Stockhammer‘s research promises to significantly extend the corpus of food-related nouns in Hieratic Egyptian. The results of the project will also throw new light not only on how the globalization in the Late Bronze Age affected local diets but also on the parallels between the expansion of contacts and transformation of food practices then and now. Philipp Stockhammer will move with his new ERC grant from the Institute for Prehistory, Early History and Near Eastern Archaeology at Heidelberg University to the Institute for Prehistory and Early History at LMU. He currently leads the Collaborative Project BEFIM on the “Meanings and Functions of Mediterranean Imports in Early Celtic Central Europe” (www.befim.de). He completed his Habilitation in 2013 at the University in Basel with a thesis on “Material Entanglements: The Appropriation of Foreign Pottery in the Eastern Mediterranean Late Bronze Age”. He received his doctorate in Heidelberg in 2008, having studied Prehistory and Early History, Classical Archaeology and Ancient History at the universities of Erlangen-Nürnberg, Brussels and Tübingen.